WARSAW — Police stopped a Warsaw man twice in two separate vehicles, both of which had loud exhausts, and found drugs in the car on both occasions. The same man was witnessed trying to sell drugs on yet another occasion and will now serve a six and a half year jail sentence for all three incidents. Sheldon Lee Lawrence, 26, 3806 North CR 700E, Warsaw, was charged with two counts of possession of methamphetamine, two counts of driving while suspended, one count of false informing, possession of a narcotic drug and dealing a narcotic drug. On May 17, Lawrence pleaded guilty to both of the methamphetamine possession charges, as well as one of the driving while suspended counts, the false informing charge and dealing a narcotic drug. 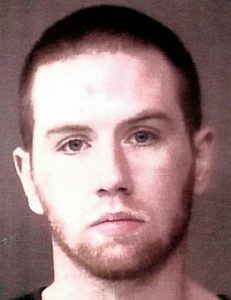 Lawrence was sentenced in Kosciusko County Circuit Court on Monday, July 9. With concurrent sentences, Lawrence will likely spend less than the total sentence behind bars and Judge Michael Reed told Lawrence he would approve the defendant entering the Recovery While Incarcerated program for a chance to get further sentence reductions down the road. “We will give you the opportunity,” said Reed. On April 21, 2017, officers with the Winona Lake Police Department conducted a traffic stop of a silver Buick with loud exhaust. Police say that Lawrence misidentified himself as having a different first name. Police also reported finding marijuana and methamphetamine in the vehicle. A similar incident occurred on June 8 that same year when Warsaw city police conducted a traffic stop of a green Monte Carlo with very loud exhaust and its muffler hanging underneath. In both incidents, officers reported that Lawrence’s driving privileges were suspended. During the traffic stop of the Monte Carlo, officers reported finding methamphetamine. On June 23, officers reported observing Lawrence trying to sell a quantity of methamphetamine. “I’m ready to make a change,” said Lawrence.